At 2:45 AM on Nov. 8, 2016, television networks announced to a stunned nation that Pennsylvania had gone for Donald Trump, making him the president-elect of the United States, defying all odds in a surreal victory that sent the Deep State-well-funded hard-left extremists, the mainstream media, Obama/Clinton holdovers in the government bureaucracy, and clandestine forces within the US intelligence apparatus-into an immediate panic. By dawn on Nov. 9, they were already planning Trump's demise: a political strategy calculated to block him from being inaugurated, and, if that failed, to ensure that he would not serve out his term as the 45th President of the United States. 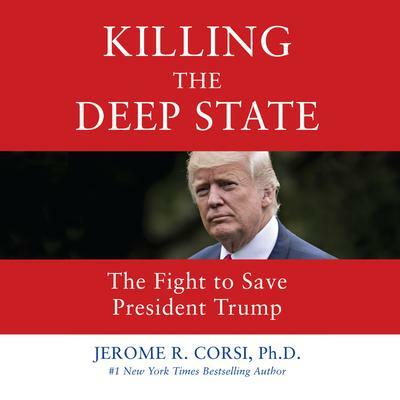 Investigative journalist and conspiracy expert Jerome Corsi goes into shocking detail about how this Deep State, or Shadow Government, secretly wields power in Washington and why it is dangerous. Corsi also defines a three-point strategy that Trump must employ to stay in office and have a successful first term.